On the Monterey Peninsula, buying a home, or any type of real property for that matter, is exciting but can be a complex process. The cities of Monterey, Carmel, Carmel-by-the-Sea, Carmel Valley, Pacific Grove, Pebble Beach, Seaside and Marina all have different elements the buyer needs to consider when making an offer and negotiating for the best price. For example, each of these cities has a different price per square foot you can expect to pay for a home, and even this numer can change depending on the neighborhood or condition of the home. Monterey Peninsula Home Team agents have extensive experience in helping buyers negotiate purchases here on the Monterey Peninsula. We have all represented buyers in Pebble Beach, Carmel, Pacific Grove, Monterey, Carmel Valley, Hwy 68 Corridor, Big Sur, Carmel Highlands, Marina and Seaside. We know the ins and outs of each community and will be able to help you find the right home in the right neighborhood to suit your financial requirements as well as your desired lifestyle. Many of our buyers are unaware of the basics of buying a home in California, let alone the Monterey Peninsula so we took the time to put together a variety of resources, a buyers information section if you will, that will help you get started on the right foot. Enjoy yourself as you explore these online tools and resources. And remember, when you are ready to start looking at homes, we are ready to help! If you have any questions, please do not hesitate to contact us. The national online real estate websites are bloated with out of date information making finding a home that is actually for sale difficult. You have to sort through all of the homes that are pending, under contract or already sold to find the ones that are actually available for you to purchase. Our online real estate search for Monterey Peninsula homes for sale is updated every 15 minutes using the local Monterey County Multiple Listing Service (MLS). This way you are not wasting your time tracking down more information on a home you can't purchase. If you have any questions about any homes you see, reach out and contact us. We are happy to tell you what we know about the home, neighborhood it is located in and anything else we can do to help you with the process of purchasing a home. All we ask in return is that when you are ready to make an offer, you choose us! Search the latest homes for sale in Carmel. Search the Latest homes for sale in the Carmel Highlands. Search the latest homes for sale in Carmel Valley. Search the latest homes for sale in the Monterey. Search the latest homes for sale in Pebble Beach. Search the latest homes for sale in Pacific Grove. Search the latest homes for sale in the South Coast. Search the latest homes for sale in Seaside. Search the latest homes for sale in Marina. 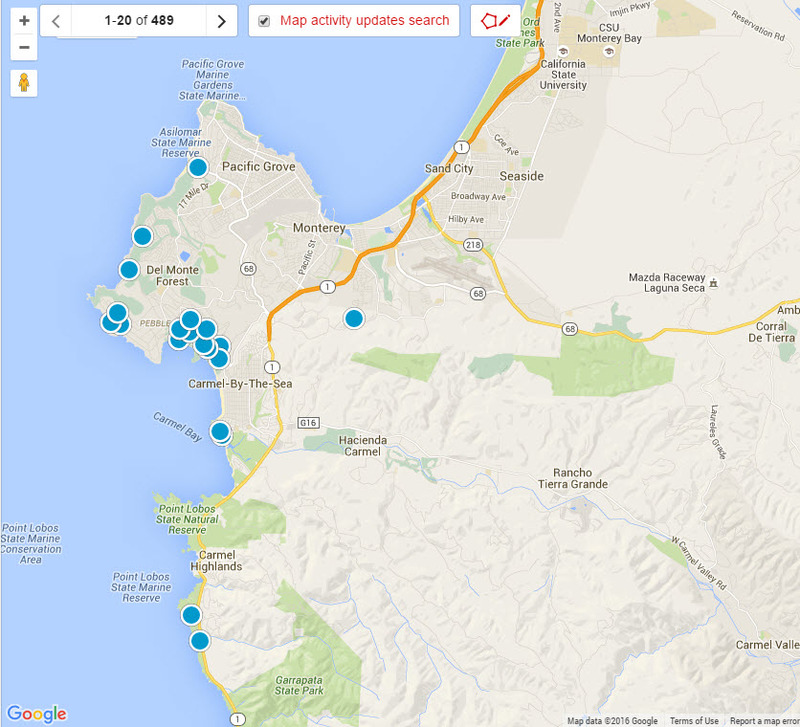 Looking for all of the latest MLS Listings of Monterey area homes on the market? Use this powerful online property search to get started now! View the Monterey Peninsula Home Team's select inventory of property listings! View upcoming Monterey Peninsula Open Houses! 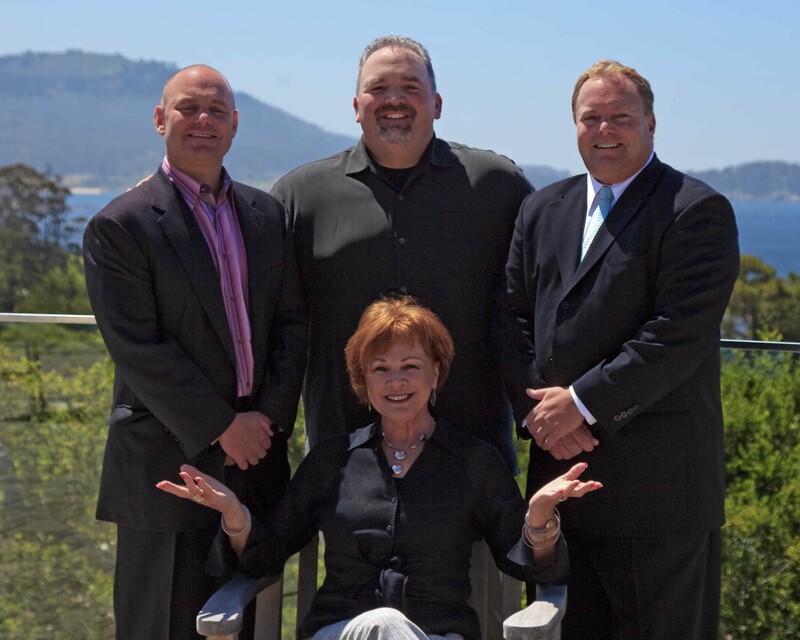 Would you like some expert assistance in finding the perfect Monterey Peninsula property? Click on the link below to take the first step toward finding just the property for which you are looking! Tell us about your Perfect Property. Our website features a wealth of information on the process of buying property, from how to get prepared to how to acquire proper financing. Click here to view a buyer information page. If you have any questions, or if we can be of any assistance, Contact us.